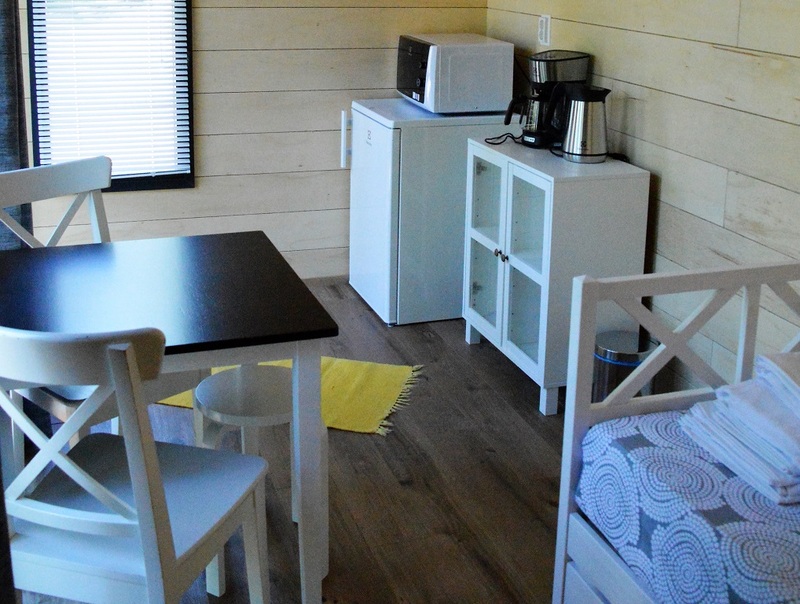 There are nine new summer cottages in the camping area. 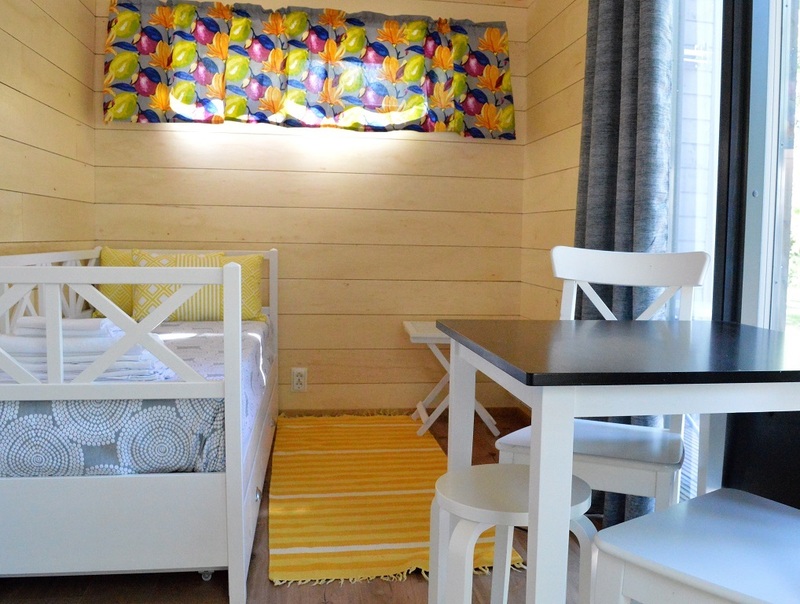 These summer cottages are available from May until October. 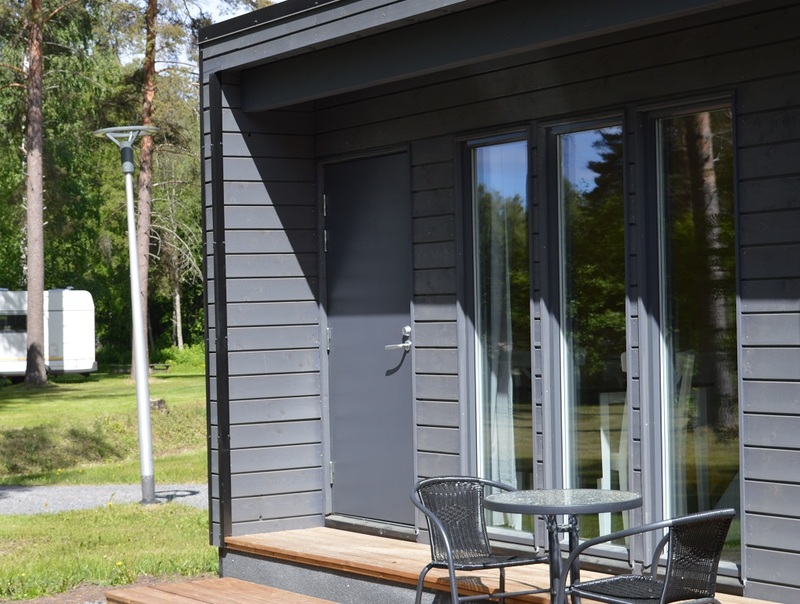 The modern Messi summer cottage is suitable for two persons and the cottage includes a sofa-bed, dining table and chairs as well as a lovely little terrace. Messi summer cottages are a great way to enjoy the camping feeling with a hint of luxury. Pets are welcome (pet fee 10€/night). Linen, towels and final cleaning up are included in the price. There is a free parking space near the cottage. 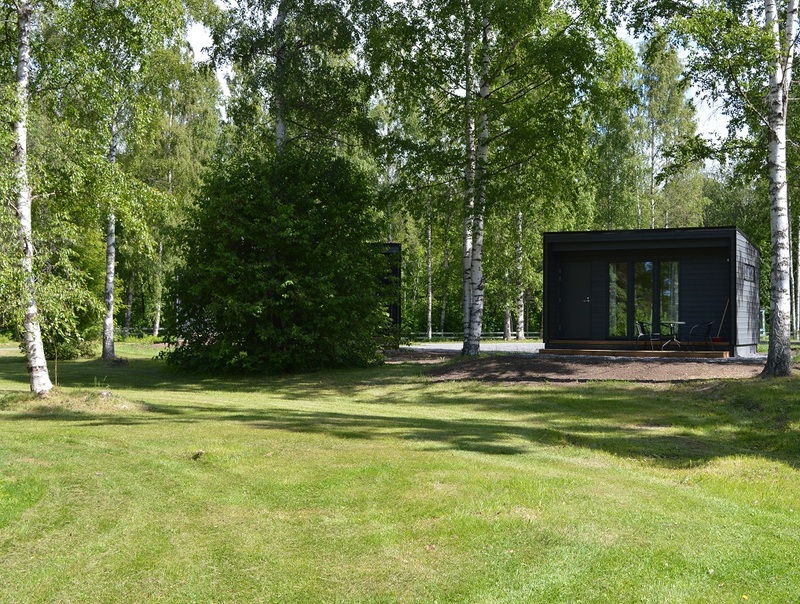 Messi Summer Cottage does not include any plates, utensils or other kitchenware. A kitchenware package can be rented from us for 5 €/night. Because we have a limited amount of these packages, we recommend you to book the package in advance.